I have collecting some images so I thought that I would start a new topic. Enjoy the mutants. Is this something you made or can we buy these somewhere? Would the differences of the ornate carvings affect the sound? Or a less negative way of asking, because it might sound nice, produce a different sound? They look neat. 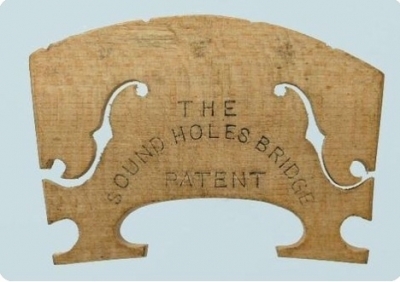 I was wondering the same thing as @cid or do they all produce the same sound but are "signature" bridges. 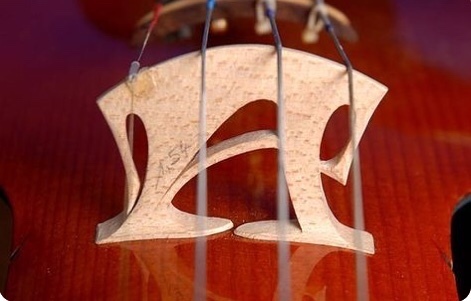 In other words, the shape is a bridge maker's unique shape or his signature bridge that indicates who made it. I owe @bocaholly for this photo, since I could not find one. 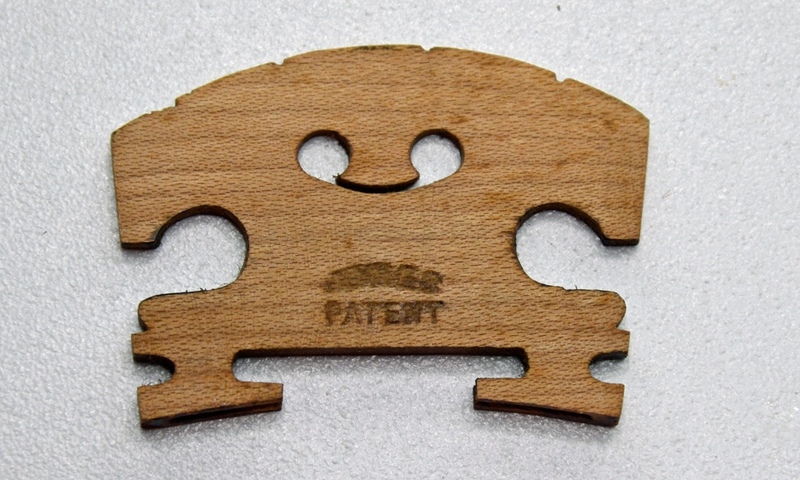 By the way, if anyone has an example of one of these, I would like to purchase it. I too love these bridges. Not sure any of them help in producing a great sound but am open minded about it. The one that you (BobbyFay) like is the one that has the greatest contact area on the top of the instrument. 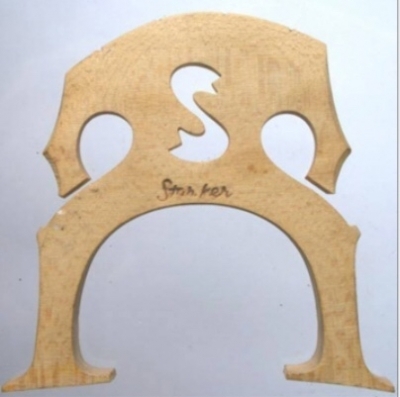 Logically I would suspect that it's not great to have this shape but I could very well be wrong. These were built by Curtin to minimize bridge mass. 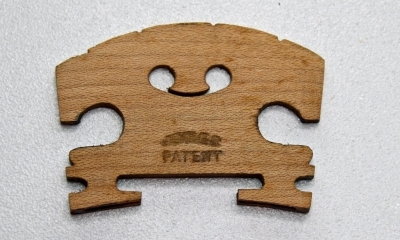 Note the laminated construction and use of adjusting feet. Interesting idea for the feet matching the top. @Fiddlerman and others. One of these having an inner layer of roasted maple and two outer layers of cf would look so cool on a Glasser cf violin. @steveduf , you beat me on that one. I came across the same bridge (minus the markings), in a Connecticut violin shop a few weeks back. I took the picture on my phone and never bothered to transfer it to my I-pad. 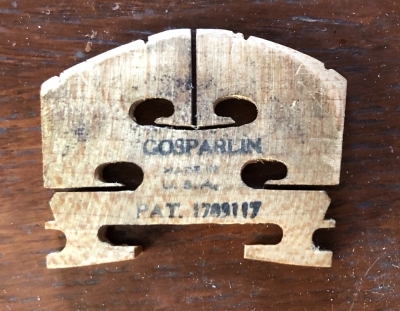 how odd, never seen one like that before, there is a whole index of old bridges several hundred cataloged my maker and region that you can look at, I saw it a couple of years ago on line very interesting designs down through the years. I’ve done a bit of research on cutting bridges and the effects of trimming different parts. 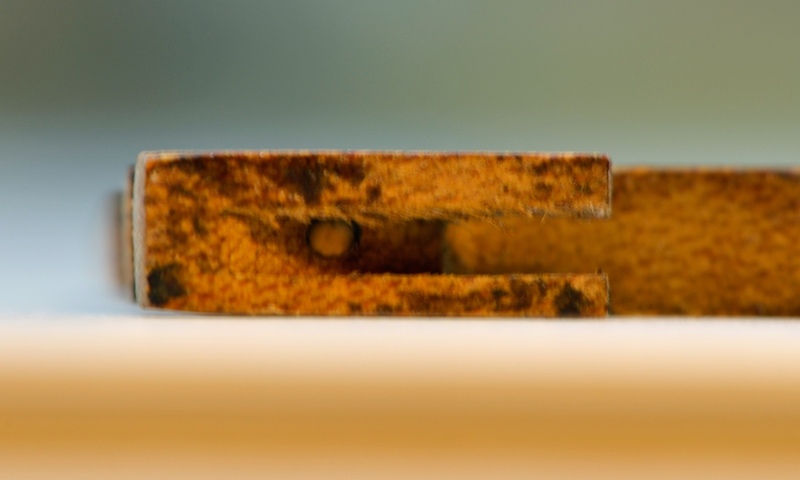 I wonder what the affect of the sound is with that split down the middle one. 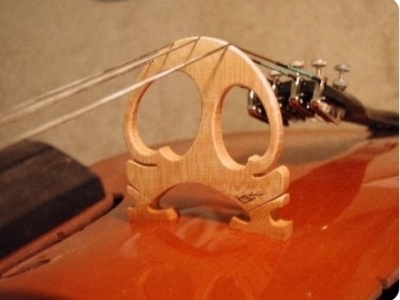 Also has anybody 3d printed a violin bridge? 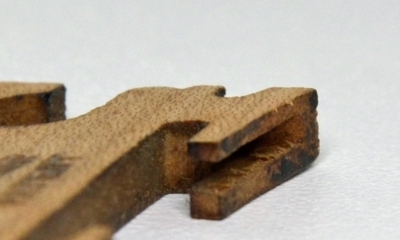 They make wood composites for 3D printing and I wonder what experiments could be conducted. 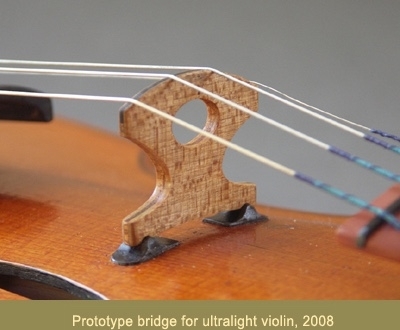 I stumbled across a carbon composite bridge in my research of violin parts. I was looking around for a cf violin bridge with an internal strut system (I have seen one) and I came across this gem. Never saw the use of four string parchments on a bridge before (I bet the owner also puts clear vinyl slip covers on the furniture as well). I actually have one of those in our sailing vessel. 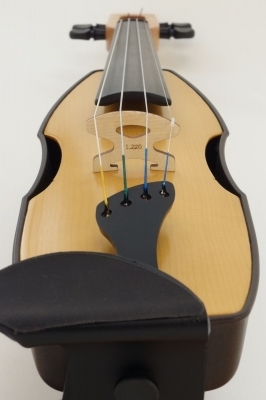 It was a potential selling product for Fiddlershop but I wan't 100% satisfied with the sound. I do wonder just how the shape of the bridge affects things. I saw a post a few years ago explaining how trimming certain parts of the bridge affects certain sounds which does make sense if we take in account the soundpost. However the major thing it was going on about was the kidneys and how trimming those can tailor the sound. I wish I could find that page again. 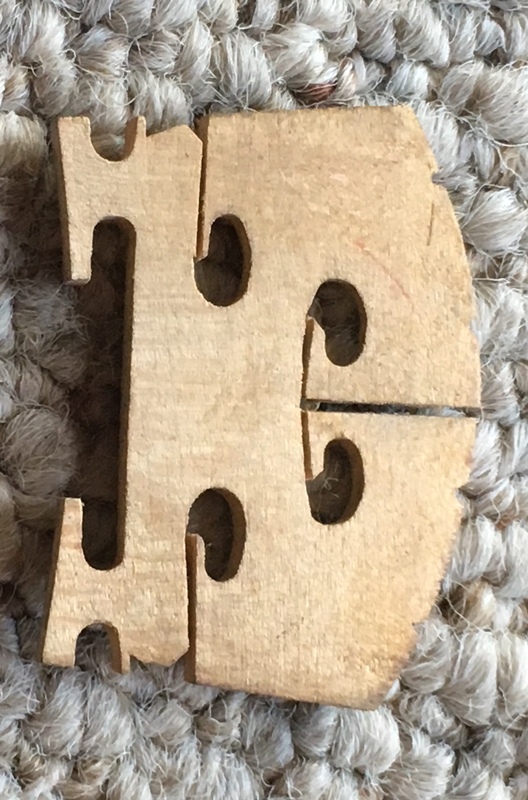 it even went on to describe the acoustical differences between the classic shapes of the violin. 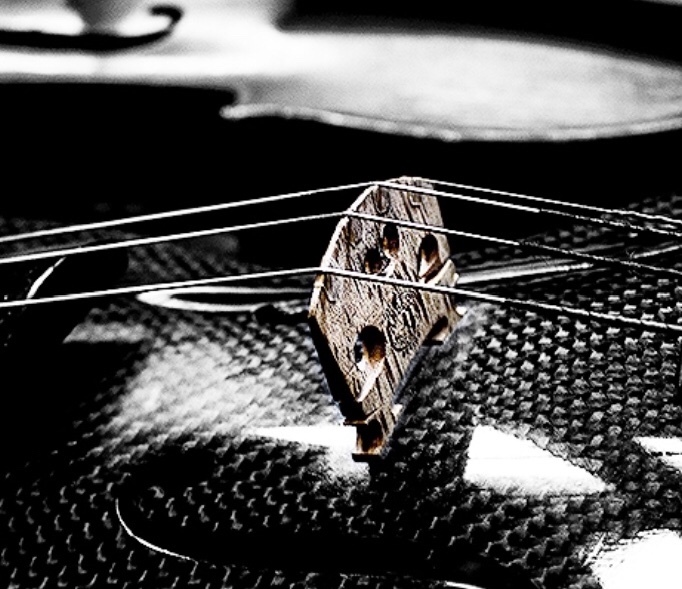 If I knew how to play a violin I would so experiment with different bridges and materials. Seems like fun.